On the call for December 19, 2014: President's Club invites you to join Andy Albright on the Over The Shoulder Call. During this call, top Agency Manager Kyle Keator will be in the "hot seat" answering important questions that can help you achieve BIG business success! Tune in to this week's product call hosted by Ryan Parker from F&G Life! Ryan will be discussing F&G's IUL products and how they can be used for tax-free retirement! The Wednesday Call (TWC) for December 17, 2014: Andy Albright hosts a live conference call and meeting from National Agents Alliance Headquarters in Burlington, NC - Except this week - We're on the road in Orlando, FL! Andy's live show covers all kinds of great topics, including training, information on team building, new developments that are in the works, and frank discussions with your fellow agents (beginner and top level managers alike!). If that wasn't enough, the live show also provides motivation and encouragement that will help get you fired up and ready to roll! Be sure to tune in and take advantage of the great info in The Wednesday Call. This week's The Wednesday Call was broadcast live from the Orlando, FL Boot Camp! Andy Albright and a group flew out to host the meeting but wanted to make sure to bring you a brand new TWC from the road. It's audio only this week, but the information is still top notch! The Live Show will air again on December 31, 2014 at 12:30 p.m. EDT. December 12, 2014: Don't miss this week's NAActivity Call! Barry Clarkson will continue his series of important information on Planning for 2015. The next NAActivity call will be December 19, 2014! Keep an eye on your National Agents Alliance email blasts for more information, and remember to email your NAActivity reports to NAActivity@NAALeads.com by 4 p.m. each Thursday! On this week's Product Call, Alliance Executive Board Member Andy Albright announces news from Foresters regarding a NEW product rider that is rolling out. Albright is joined by Foresters' Darwin Hurme and NAA Product Specialist Gina Hawks. Don't miss this exciting news as The Alliance and Foresters continue working to improve an already great catalog of insurance products to offer your clients! The Wednesday Call (TWC) for December 10, 2014: Andy Albright hosts a live conference call and meeting from National Agents Alliance Headquarters in Burlington, NC - Except this week - We're on the road in Columbus, OH! Andy's live show covers all kinds of great topics, including training, information on team building, new developments that are in the works, and frank discussions with your fellow agents (beginner and top level managers alike!). If that wasn't enough, the live show also provides motivation and encouragement that will help get you fired up and ready to roll! Be sure to tune in and take advantage of the great info in The Wednesday Call. This week's The Wednesday Call was broadcast live from the Columbus, Ohio Boot Camp! Andy Albright and a group flew up to host the meeting but wanted to make sure to bring you a brand new TWC from the road. It's audio only this week, but still great information! The Live Show will air again on December 17, 2014 at 12:30 p.m. EDT. Transamerica now accepts Social Security debit cards for premium payments on their final expense product! To learn more about this option, join Bob Grannan from Transamerica on this week's product call! The Wednesday Call Live (TWC) for November 26, 2014: This file is an audio recording of Andy's Live Show. If you would like to access the video version, check out the NAAtv Live Archives! The Live Show will air again on December 3, 2014 at 12:30 PM ET. 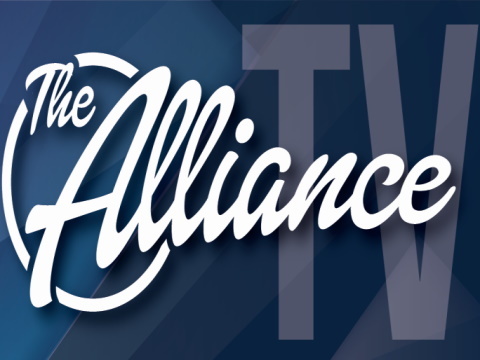 The Wednesday Call (TWC) for November 26, 2014: Andy Albright hosts a live conference call and meeting from National Agents Alliance Headquarters in Burlington, NC! Andy's live show covers all kinds of great topics, including training, information on team building, new developments that are in the works, and frank discussions with your fellow agents (beginner and top level managers alike!). If that wasn't enough, the live show also provides motivation and encouragement that will help get you fired up and ready to roll! Be sure to tune in and take advantage of the great info in The Wednesday Call. Andy Albright delivered another TWC from Burlington, N.C. the day before Thanksgiving and had a specific message for viewers tuning into the show. Andy wanted to explain the one thing that is most important to building a successful business with The Alliance. You have to come into this with a thankful spirit about you. If you don�t do that then you�ve missed the whole deal. You have to get started right or you can crack the safe because the combination will not be correct because you missed the first number. It�s important to start with this mentality and to keep building on it as you move along. Nobody is perfect but you have to stay positive about the blessings you have. Be grateful and look forward to the future. Andy said you don�t want to forget the past but you have to keep moving forward. When you have this attitude, you are more open to help people and show gratitude to your fellow man. It�s especially important to remember that as we prepare to spend Thanksgiving with our friends and families this week. The Live Show will air again on December 3, 2014 at 12:30 p.m. EDT. November 21, 2014: Growing and improving is a constant process - you have to act, evaluate your actions, and then figure out what you can change in order to grow. This week, Barry Clarkson will continue his series on how to use this process to build up your organization. The next NAActivity call will be December 5, 2014! Keep an eye on your National Agents Alliance email blasts for more information, and remember to email your NAActivity reports to NAActivity@NAALeads.com by 4 p.m. each Thursday!